Ryotei Harima is located in Sancho-machi, Obama city. In 1601 (Keith 6th), Kyogoku Takatsugu who was the first lord of Obama Domain built Obama castle. The castle town gradually expanded and divided into three districts, "the Easts", "the Middles" and "the Wests". 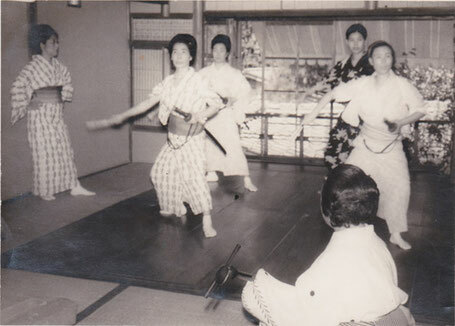 Of these three, the Wests developed into Chaya-machi. ( Chaya means rest areas, restaurants, and traditional Japanese sweets restaurants. In 2008 (Heisei 20th), Sancho-machi was added to "Important Preservation Districts for Groups of Traditional Buildings". The town has been well-preserved since. 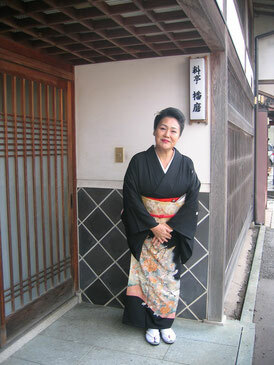 Ryotei Harima is the only Chaya left in the "Sancho-machi", which has been open since 1981(Showa 56th). There used to be 48 Chaya in Obama. 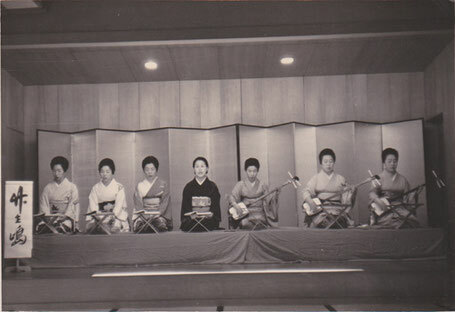 In 1981(Showa 56th), there were 16 Chaya left when Ryotei Harima was opened. Now there is just "Ryotei Harima" in Sancho-machi right now. However, we would like to protect our traditional cultures in Sancho-machi and keep telling how nice it is. We are looking forward to serving you for many years to come. 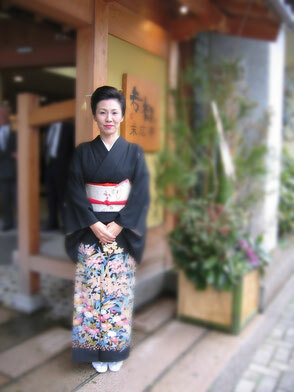 Osarai-Kai means the stage where Geisha demonstrate their talents and abilities. Hiro is Mari's mother and Momo's grandmother. 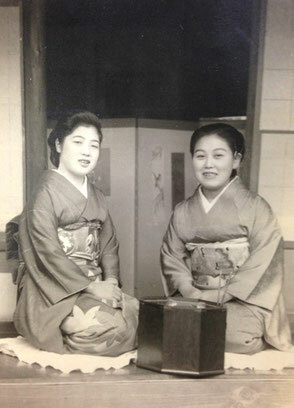 I hope to inherit traditions of Sancho-machi and protect Geiko culture as long as possible. I serve my customers with my all heart every day. We will practice hard and do our best.